The landmark 10th anniversary of this footie favourite – completely revamped with new stories, lists and stats! Why risk the shame of a footie-talk own goal? This legendary fact bible will get your smarts onside. 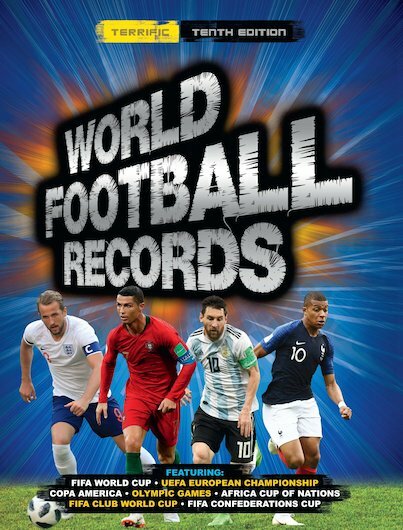 It’s bursting with records, stats and gossip to keep you on top of the beautiful game – including the lowdown on the 2018 FIFA World Cup. Amazing colour photos. Explosive records. Breathtaking goals. Top tournaments. All in one insanely detailed, bang-up-to-date guide. No more awkward pauses. Talk football with pride.